I loved making this simple little Christmas card. I used the stamp set Holy Night and craft cardstock from A Muse Studio. 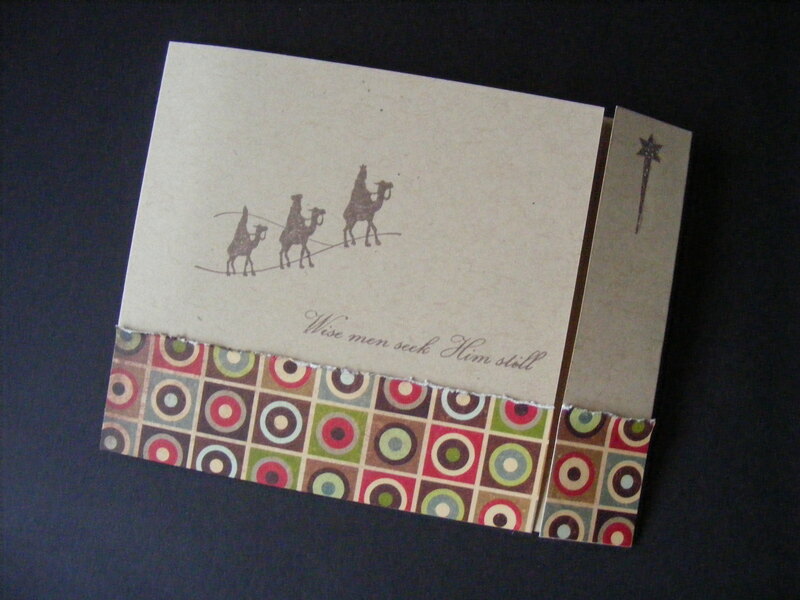 The patterned cardstock is from the Reece collection from The Angel Company (retired). The card base measures 4-1/4 x 11 inches and is folded at 1 inch on the right side and 4-1/2 inches on the left. It is hard to tell in the photo but the star is hi-lighted with glitter. This entry was posted in Cards, Rubber Stamped Items and tagged A muse Studio, Christmas Card, Nativity, Star of Bethlehem, Wise Men. Bookmark the permalink.